DENT MAY "Meet Me In The Garden"
MARISSA NADLER "River Of Dirt"
We're pretty much a sucker for anything Dent May does, so it's no surprise that the Mississippi trailer park troubadour's newest video for "Meet Me In The Garden" has us floored. The Jon Leone-helmed video for the Good Feeling... standout, which premieres today via Pitchfork TV, is a trip. 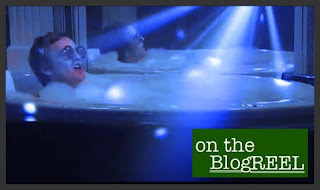 In it, May parades around in vintage Elton glasses, kicks back with a bottle of bubbly and devilishly croons in a bathtub. Mysterious, low-budget and just a little flamboyant, this should definitely earn our Artist To Watch a few more fans in '09. Meanwhile, Jeremy Jay and the gang are also using P4K to unveil the subtle video for "Lite Beam," from the Love Everlasting EP. If you fancy performance videos with uncomfortably close shots of mascaraed men, this one should be right up your alley. Marissa Nadler's "River of Dirt" video is much more pleasing: The clip, elegantly shot by director Joana Linda, captures the singer and friends on a journey through the Midwest by foot and by train. The track is from the forthcoming Little Hells, out March 3 via Kemado. All three videos are after the jump.